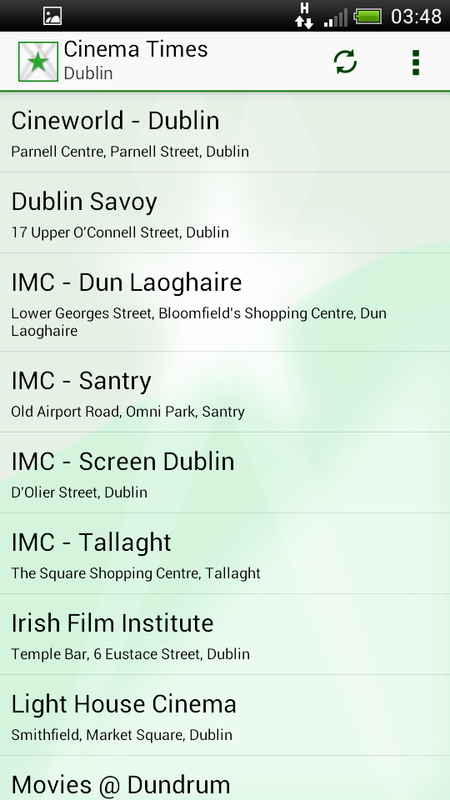 This app Displays Cinema Times for Theaters in Ireland allowing users to effortlessly view nation’s cinemas instantly. 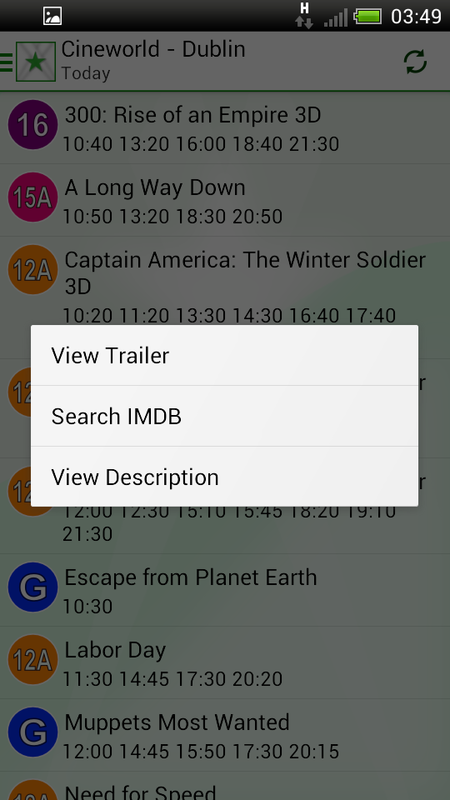 It provides information on What is showing in the Theaters. 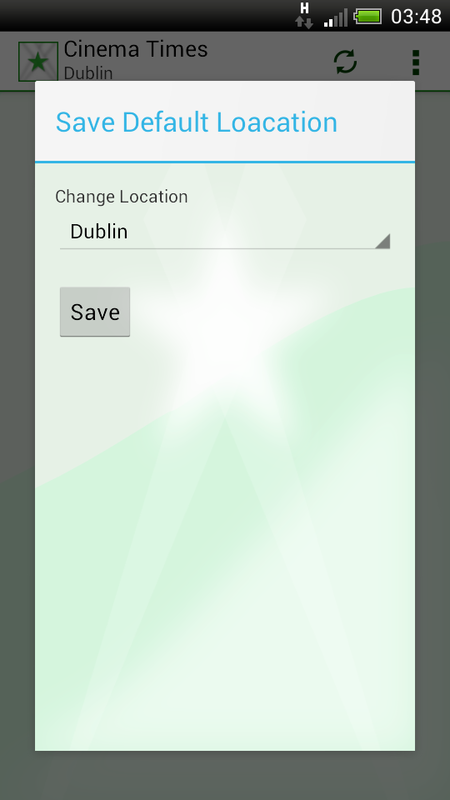 - Fast and clutter free. 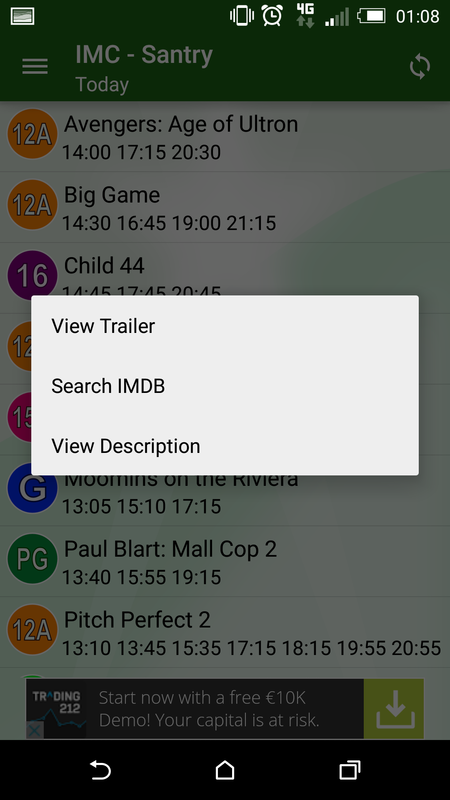 - Look-up films on IMDB. 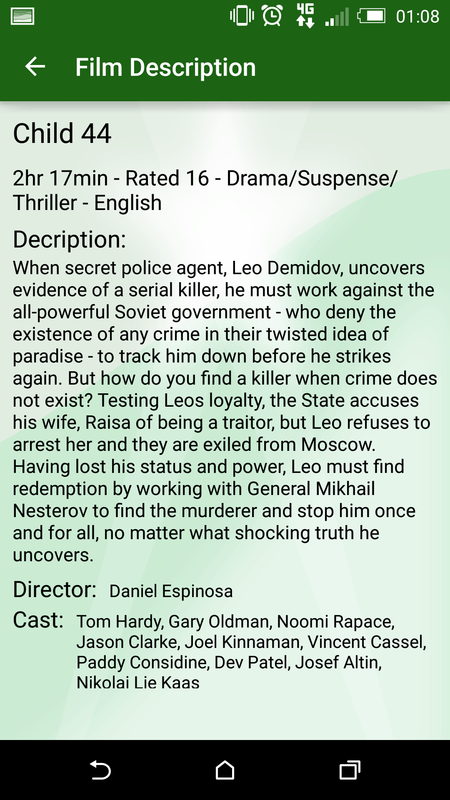 - Get Films Trailer if available. It's simple and user friendly. 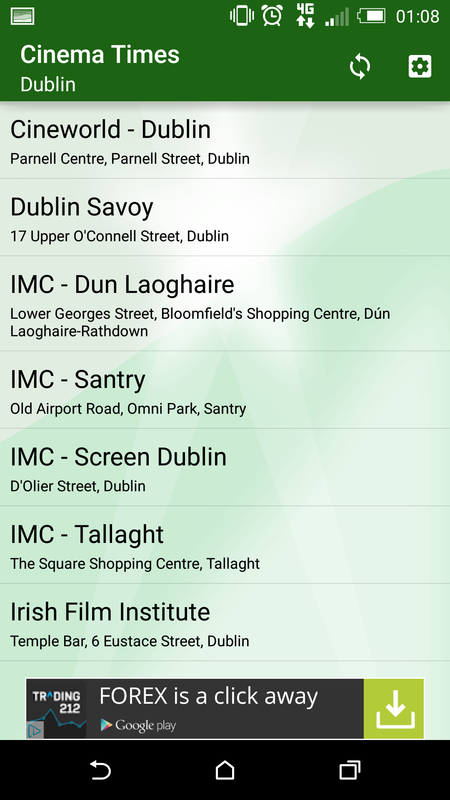 Just Select your County from the setting page, and the App gives you List of Theaters available in your County, select the Cinema and the app will retrieve that cinemas films You Can also get Search film for Description, Trailer or look-up film on IMDB. 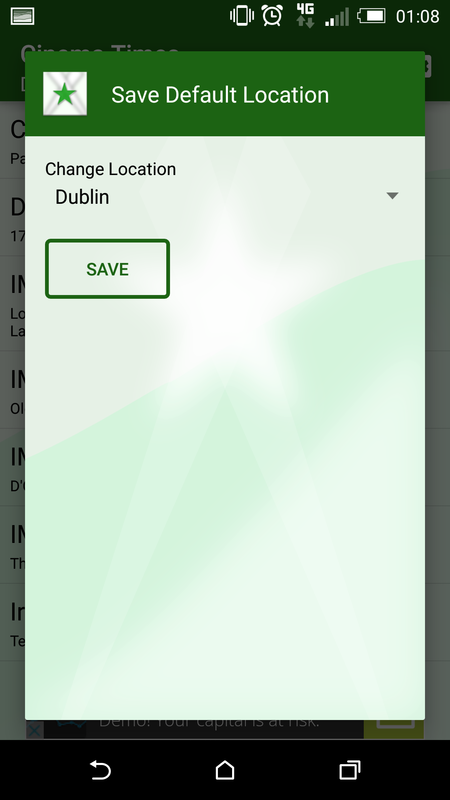 this app needs internet connection Listing and Movie data updates as needed. The listings Information is being pulled from the internet. Cinema times are subject to change by the Theaters owners. 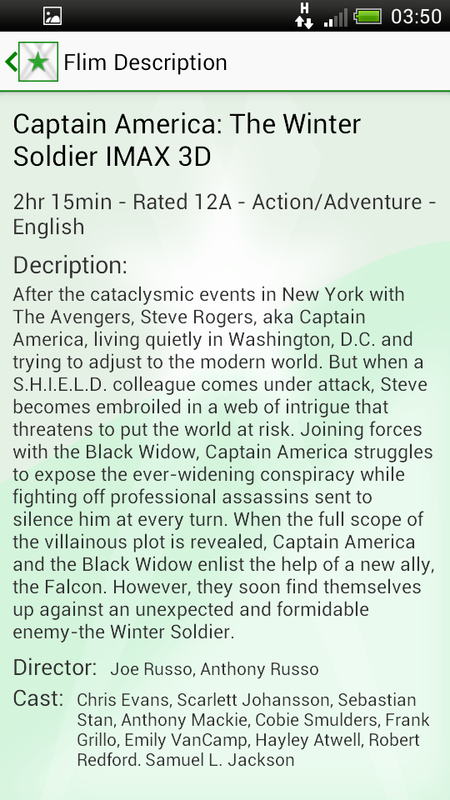 The developer takes no responsibility for last minute changes to the Cinema listings by Theaters locations.